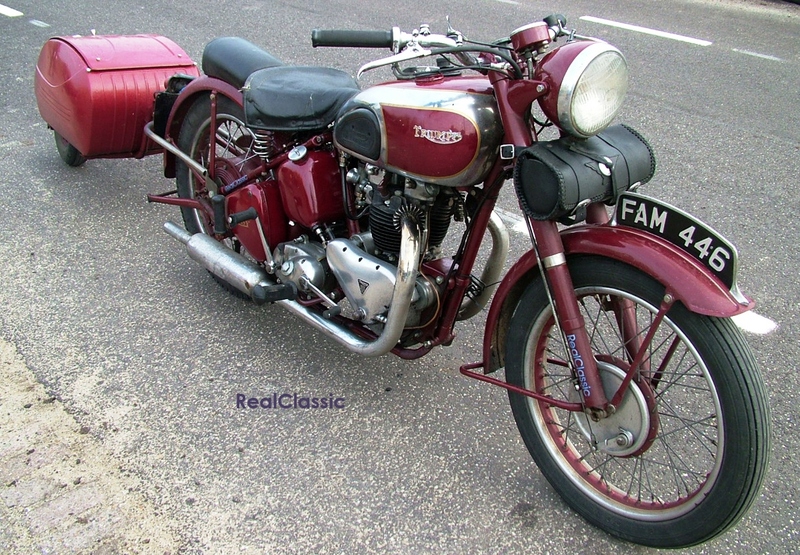 Long-time RC readers will recall Graham’s series of stories which spanned a dozen years in the pages of RealClassic. 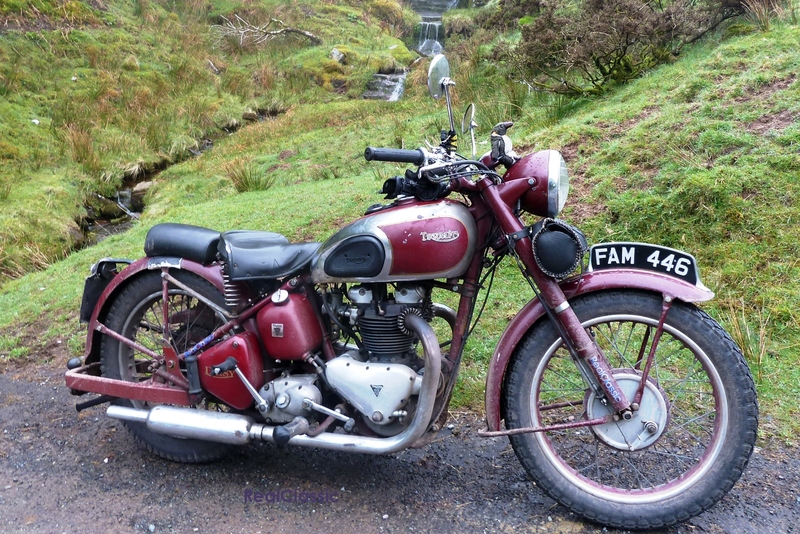 In them, Graham rode his pre-unit 1948 Speed Twin – affectionately nicknamed ‘Daisy’ – to rallies and shows and camping weekends, and successfully completed the Triumph Owners’ MCC’s Landmark Challenge; no mean feat on a 50 year old classic motorcycle. 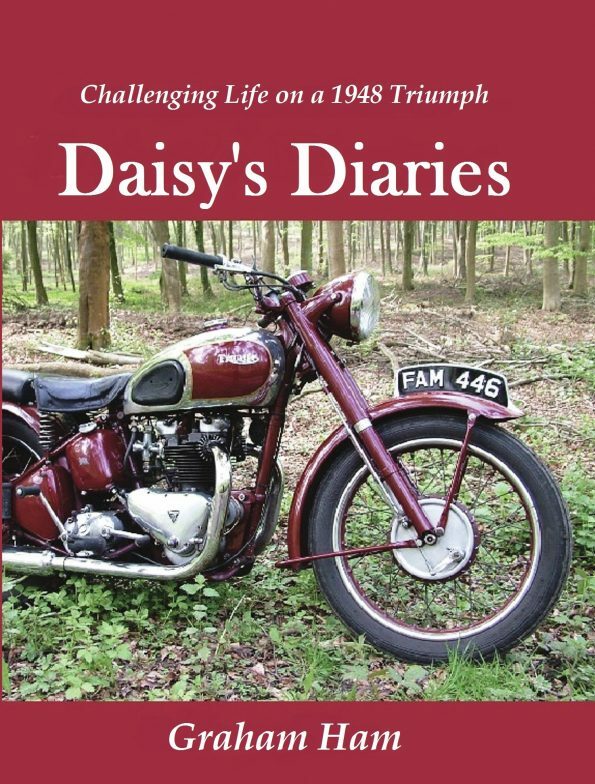 Along the way, Daisy starred in two books about Graham’s adventures; the original Daisy’s Diaries, Challenging Life On A 1948 Triumph, and a follow-up, An Adventure Too Far. 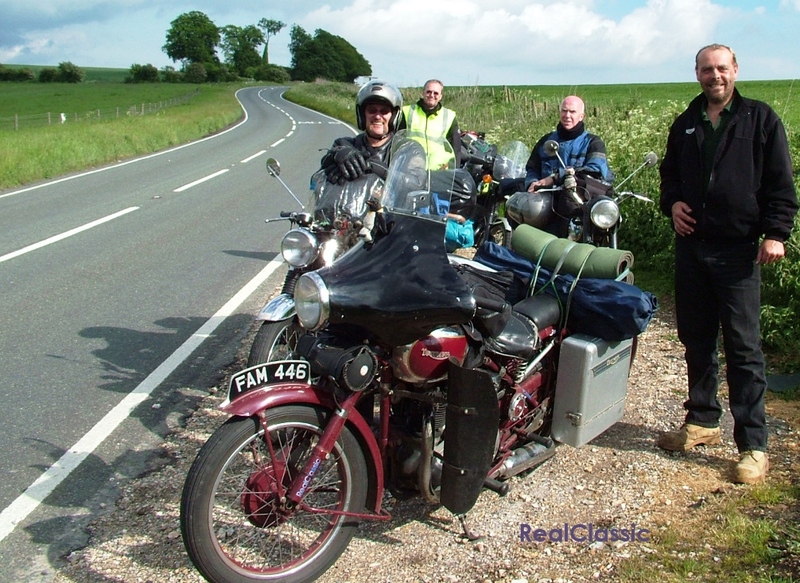 Both are available as ebooks if you enjoy an entertaining read about the realities of riding an old bike along byways and back roads, often pulling a purpose-built trailer, in all weathers and in excellent company. 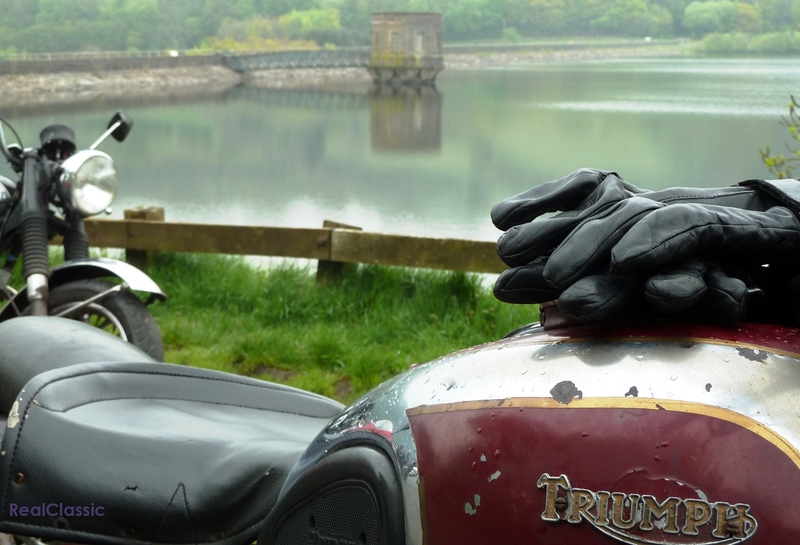 The time has come, Graham has decided, to let Daisy loose upon the world and give someone else the chance to enjoy riding an idiosyncratic old bike. 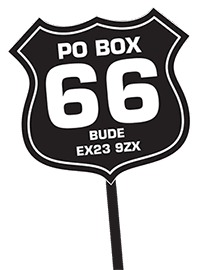 He’s cherished his time in the saddle but is riding less these days. 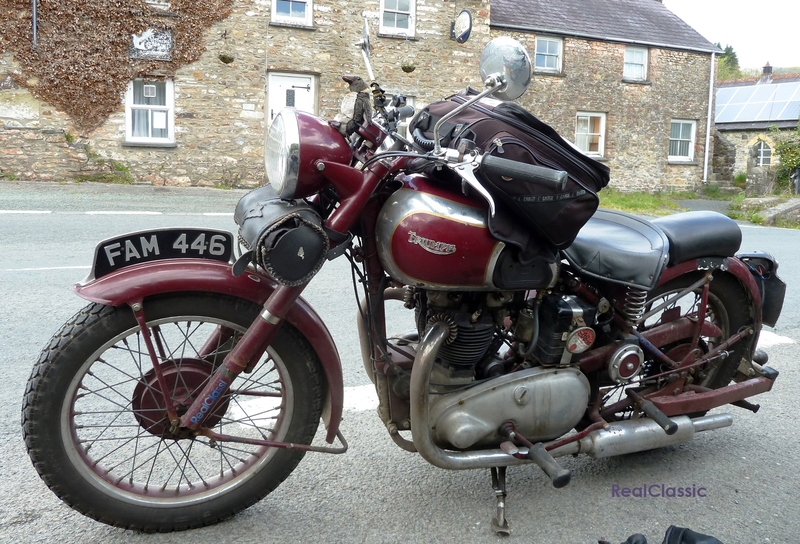 And if ever a classic motorcycle belonged on the road (and not, perish the thought, in a museum!) then it’s Daisy. 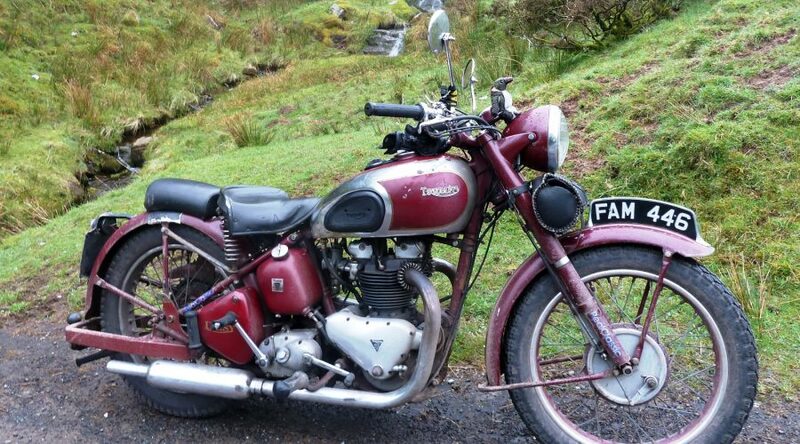 So Graham’s Speed Twin (minus trailer and other touring gubbins) is up for sale at eBay. At the time of writing, the bidding had already passed the reserve point so it seems certain that Daisy will go to a new home. And maybe her new owner will write stories about her further travels… and maybe her new owner might be you?